AYM’s forthcoming Webinar, “Strategy and Planning for Post-Ebola West Africa” takes place on Wednesday, October 22, 2014 at 1 P.M. EST. Rachel Glennerster and Zeinab Camara – two distinguished individuals – have agreed to present at the Post Ebola Strategy webinar . “Rachel Glennerster is Executive Director of the Abdul Latif Jameel Poverty Action Lab (J-PAL). 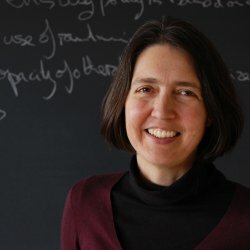 Her research includes randomized evaluations of community driven development, the adoption of new agricultural technologies, and improving the accountability of politicians in Sierra Leone; empowerment of adolescent girls in Bangladesh; and health, governance, education, and microfinance programs in India. She serves as Scientific Director for J-PAL Africa, Co-Chair of J-PAL’s Agriculture Program, and is a board member of the Agricultural Technology Adoption Initiative (ATAI). She is lead academic for Sierra Leone for the International Growth Center. Between 2007 and 2010 she served on the UK Department for International Development’s (DFID) Independent Advisory Committee on Development Impact. “Zeinab Camara is on the ground in Guinea and actively campaigning for a stronger response to the Ebola crisis. Zeinab truly embodies the notion of Public Private Partnership for an emerging Africa. Entrepreneur, youth leader, civil society activist, mother and an Executive in one of the mining sector Big 3, she is an expert in sustainable investments and social partnership with local communities. Zeinab has a great passion for Women and Young people empowerment by being involved in transformational initiatives in Africa. 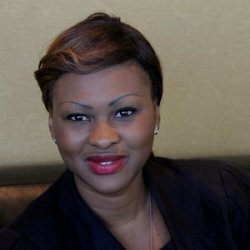 She is the founder and President of Women in Mining Guinea, Chapter Head Guinea for Africa 2.0 and has recently been designated as the Zero Ebola Global Lead for Africa 2.0.